Since I arrived in Berlin in early 2013 I’ve been highly interested in the cross-media documentary scene. I first wrote articles about it and I soon joined the Netzdoku network in order to run the monthly meet ups with Frédéric Dubois and organize DOK-Hackathons. Netzdoku reports on the newest web-based, transmedia documentaries and on crossmedia storytelling events. It sheds some light on the work of those who drive the i-doc genre in the German-speaking countries. The network is an informal group of directors, producers, animation artists, photographers, journalists, web developers, sound and visual artists based in Berlin. 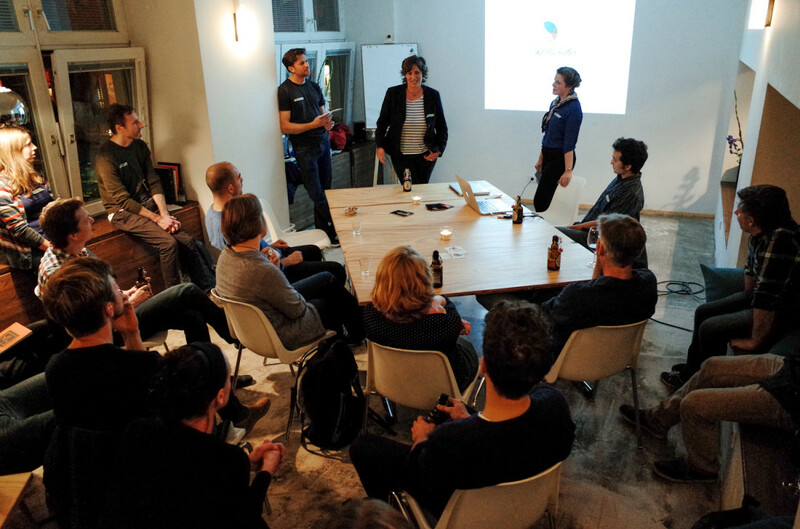 We monthly meet up at the Betahaus to share experiences and listen to practical case studies presented by special guests from the scene. Netzdoku is mainly coordinated by Mathilde Benignus, Frédéric Dubois and Jonas Witsch. Since 2013 the Netzdoku network has run more than 26 hands-on and theme-based meetings in Berlin. It also organized documentary Hackathons in Germany: DOK Hackathon Berlin (2014), DOK Hackathon Leipzig (2015), in cooperation with the Interactive Media Foundation, DOK Leipzig, as well as ARTE Future. Netzdoku went to several podium of discussion to offer an overview of the interactive documentary development sectors in Germany, such as : Sunny Side of the Doc, Cultural Innovation Days, DOK Leipzig, AG-DOK and Dokville (Branchentreff Dokumentarfilm). If you’re interested in the German interactive documentary scene but cannot come to Berlin, well, that’s not too bad because you can read our speaker desk and have a first overview (in English). If you can read french, which is even better, then take a look at this. Photo by Marco del Pra‘.